Contingency: Many lawyers are willing to work on contingency. This means that the attorney will only be paid if their client wins their case. Most lawyers will only take on these types of cases if the client is likely to receive a settlement. Some lawyers may ask for a percentage of the settlement rather a flat fee. Paying By The Hour: A number of lawyers bill by the hour. If a lawyer charges an hourly rate, you will be billed for each hour of time that an attorney spends working on your case. 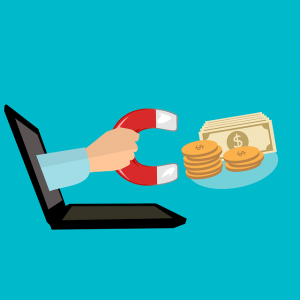 This is the most common payment method for attorneys. Many lawyers that charge an hourly rate will also ask clients for a retainer. A retainer is essentially a down payment on a lawyer’s services. In most cases, any unused portion of the retainer will be non-refundable. Paying A Flat Fee: Some lawyers will be willing to quote their client a flat fee. The client will only have to pay a single, onetime charge. They won’t receive any additional bills from the lawyer. Attorneys are usually only willing to charge flat fees for certain types of jobs. For example, it’s not unusual for lawyers to charge a flat fee if they are preparing a will or reading over a contract for a client. There are many different ways to pay a lawyer. If you are meeting with an attorney, you should ask them what they charge and how they would like to be paid. You should have a clear picture of what your legal expenses will be. The Miami Injury Lawyers work on a contingency basis and offer free consultations to potential clients. Contact our office today with your story. We want to help you get the maximum compensation possible. Workplace injuries are more common than you might imagine. There are certain workplace injuries that are more common than others. It is important to know what these injuries are and how they can occur. The most common of all workplace injuries is overexertion injuries. These are injuries that are related to pushing, carrying, lifting, pulling and throwing activities at work. These injuries are not only the most common, they are also the most expensive. There are a number of steps that can be taken to prevent these injuries such as correct practices for moving products in the workplace and breaks to prevent repetitive strain injuries. 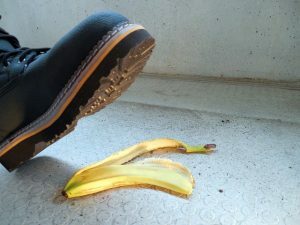 The second most common workplace injury are those related to slipping and tripping. These injuries are generally caused by employees falling on wet floors or tripping over something that has been left lying around. To prevent these injuries, safety protocols need to be adhered to and employee awareness should also be emphasized. Ensuring that the workplace is clean will also decrease the chances of these injuries. Reaction injuries are caused when someone slips or tips but does not actually fall. These situations will generally cause trauma to the muscles and other medical issues. The problem with these injuries is that they are hard to prevent as no falls actually take place. Employees can also have reaction injuries from tripping over something that is not actually there. The best way to try and prevent these injuries is to ensure that your employees pay attention to their environment. Objects falling from shelves or dropped by other people can cause serious injuries and are one of the most common causes of workplace injuries. The most common result of falling objects is head injuries. The only way to prevent these injuries is to ensure that proper protective gear is worn and that the work environment is free from hazards. If you are a resident of Flordia and have been injured in a workplace accident, you may be entitled to compensation. Contact The Miami Injury Lawyers for a free consultation today! 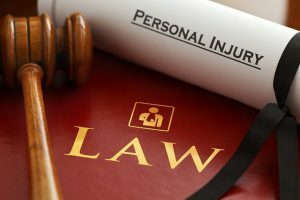 Can You Have a Retrial For a Personal Injury Case? Can Personal Injury Cases Be Retried And If So For What Reasons? Most personal injury cases settle out of court, but there are definitely those that end up going to trial. When these cases do go to trial, litigants aren’t always happy with the outcome. For that matter, defendants aren’t always happy with the outcome either. Appeals can be filed, but they are certainly expensive. Mistrials can occur, too, and retrials can happen as well. Let’s say that a plaintiff sues, is offered a settlement but goes to trial. Let’s say that the plaintiff is awarded a substantial amount upon a verdict being rendered, but the defendant files an appeal. This is not common, but it does happen. Let’s take the situation a step further and say the appellate court overturns the verdict, meaning a settlement is no longer due to the plaintiff. In that case, there can be a retrial; however, let’s look at another reason why there most likely wouldn’t be one. Not only do most personal injury cases never make it to trial, but both parties face the possibility of losing more if an appeal is pursued by the defendant. What does that mean? It means that even if the litigant wishes to pursue an appeal, a smaller settlement is usually offered instead. This would stop the appeals process, close the case and of course prevent a possible retrial post appeal. If a mistrial were to occur, a retrial would be necessary of course, yet it could be by that time that both parties reach a settlement, out of frustration if nothing else. Mistrials are also rare, and again, it is rare for a personal injury case to be taken to trial in the first place. If your case does go to trial, you don’t want Mr. Flashy Pants who makes a living from procuring settlements for his clients ahead of a possible trial. You want an experienced attorney who has spent quite a lot of time in the courtroom in front of a judge and jury. One of the most common accidents you could have is a slip and fall accident. This type of accident can lead to a range of different injuries that you need to know about. These injuries can affect your daily life as well as your ability to carry out simple tasks. Among the most common slip and fall injuries is the soft tissue injury. These injuries are not visible which makes them hard to prove in a personal injury lawsuit. Additionally, you might not realize that you have this type of injury for days or weeks after the accident. However, if these injuries are left untreated, they can cause chronic pain and make you more susceptible to further injuries. These injuries will include minor wrist and ankle sprains as well as tears in the muscles and ligaments. Another common injury from a slip and fall accident is a head injury. This is due to the fact that the head will often hit the ground when you slip if you are not careful. It is important to note that even a minor head injury can be a medical emergency and you need to seek medical attention if you have hit your head during an accident. This is something that you should do even with a minor head injury. Minor concussions are common and they will generally heal on their own. However, more serious head injuries such as traumatic brain injuries can alter your ability to function correctly. The reason why you need medical attention after hitting your head is due to the fact that severe head injuries can have minimal symptoms. Additionally, if you seek medical attention, you will have better odds of success in your lawsuit as you have medical evidence to back up any injury claims. What Are The Biggest Personal Injury Cases Of All Time? When you think about personal injury cases, what comes to mind? You might think about slip and fall accidents, or maybe you recall the traffic accidents involving tractor trailers portrayed on the commercials for personal injury attorneys. There are all kinds of cases involving personal injuries. Perhaps you have even been involved in one. What are the biggest personal injury cases of all time? There are some landmark cases, and they biggest ones feature judgments or verdicts not settlements, as you can imagine. The damages awarded total in the billions, and the first case on this list is tragic indeed. A boy’s life was lost in the aftermath due to skin cancer after having already been set on fire using gasoline. The boy was just eight years old. The teenager responsible didn’t have $150 billion, but that was the total awarded to the victim’s family. The next big personal injury case involves a group of people and several top cigarette manufacturers. This case happened in 2000, and the settlement was just shy of $145 billion. What’s really interesting is that the next biggest personal injury case also involves cigarettes, and there was only one plaintiff for that case, a woman who had lung cancer. While the settlement was well under the $100 billion mark, it is substantial due to the fact it was awarded to one person only. What company was on the receiving end for the last case? It was none other than RJ Reynolds, and the settlement prior to being reduced was $28 billion. These are the three biggest personal injury cases of all time, and there are many more interesting cases to read about. As you can see, the verdicts and judgments in these cases can result in billions of dollars awarded to plaintiffs who have refused to settle. There’s no denying that car crashes and accidents are a common occurrence in the modern world, but fortunately, the vast majority of them aren’t fatal. Yet despite this fact, it’s well worth taking a closer look at the most common types of car accident that do occur, so with this in mind, let’s explore the topic in further detail. This type of accident is commonly known as a T-bone, and it most often happens when a driver either misses a stop sign, fails to take an appropriate turn, or perhaps runs a red light. Interestingly, these accidents are perhaps one of the most avoidable, as they usually occur due to driver negligence. The smartest way to avoid this kind of accident is to pay attention whenever you’re driving around intersections and look for signs that other drivers may not be paying as much attention as they should. If you have ever experienced a fender bender, or perhaps a parking lot collision, then you have definitely experienced something known as the ‘low-speed impact’ accident which is certainly a very common occurrence in cities and towns around the globe. In many cases, these accidents occur when one driver is reversing without checking their surrounding environment carefully enough, so avoiding this accident often comes down to paying better attention to what other drivers may be doing around you. Whenever a driver is following another car too closely, the risk of a rear-end collision is always present. This type of accident is often caused by a behavior known as tailgating, and while the accidents caused by this bad driving behavior aren’t usually life-threatening, they can often cause larger accidents, particularly if it happens on busy roads which feature a high volume of traffic. Here’s an accident that tends to be rare, but it is nonetheless very surprising if it happens to you and often catches a driver unawares. The term hydroplaning simply refers to what happens when you drive through standing water and your tire tread cannot channel away the water quickly enough to maintain firm traction to the road. The vast majority of these accidents occur due to a driver speeding or accelerating too quickly through standing water, so it’s always something to pay particular vigilance to when you’re driving in poor weather conditions. Here’s a particularly high-risk form of accident that can often occur on busy roads, but they can equally happen whenever cars are merging into the same lane. The accident can either refer to a gentle clip of another car, all the way up to a full sideswipe collision that often occurs when a driver can’t fully see their blind spot, especially while they are swapping lanes. In some cases, these accidents don’t cause too many problems, but at high speed, they can even be fatal. Overall, it’s safe to say that there is a wide range of different accidents that can occur when anyone is driving a car, and even though the majority aren’t necessarily going to cause physical injury, many of them can still result in personal injury and insurance claims as a minimum. If you want to learn more about this subject, please watch the informational video embedded below! Car accidents are one of the leading causes of death in the developed world. During a car crash, the body can be subjected to trauma in an enormous variety of ways, making the possible injuries from a car crash nearly infinite. However, there are a few injuries that are very commonly caused by a crash. Read on to find out the most common car crash injuries. Whiplash is the single most common car crash-related injury. Whiplash is a spinal injury that affects the neck or back, and is caused by the affected area of the spine stretching too quickly before snapping back. This rapid stretching and compression causes damage to the vertebrae, disks, or the ligaments of the spine. Severity varies, but whiplash can often lead to chronic pain or even paralysis. Head injuries are common in car crashes. The head colliding with the steering wheel, dashboard, or car door can cause traumatic brain injury, or TBI. TBI comes in many different degrees of intensity; it may heal after a few weeks, or it could cause permanent brain damage that impairs brain function. Injuries to ears, eyes, and the jaw and teeth are also common in car accidents. Neck injuries are common causes of death in car crashes. In addition to whiplash in the neck, blows to the throat can cause difficulty breathing and may be fatal. Broken necks are also very common causes of death in car accidents, since this type of injury can cause instant death before paramedics can make it to the scene. For people not wearing seatbelts, serious chest injuries are common in car crashes. Usually, seatbelts and airbags limit injuries to the chest, but absent these safety measures, chest injuries can be extremely dangerous. Slamming forward can cause a broken sternum or ribs, and can also lead to punctured or damaged internal organs. Injuries to the pelvic and abdominal regions are common, especially in impacts to the front or side of the car. This type of accident can often cause hip fractures. Damage to the kidneys, liver, or spleen is also common in this type of accident when force is applied to the abdominal region. In serious accidents, the legs and knees can often suffer damage. This is usually the result of legs being crushed as the car is deformed. This can manifest as simple bruising, or it can cause serious breaks. If the leg is twisted too much, the knees can suffer meniscus tears, which limit mobility and cause severe pain. Ankles, feet, and toes are also common injuries in this type of accident. As you can see, car accidents can lead to a large variety of injuries. The damage suffered during a car crash depends greatly on the type of accident, the direction of the force, and the presence of safety measures like seat belts and air bags. To minimize your risk of being injured in car accidents, make sure to wear your seat belt, and avoid excessive speeds.